Our oval magnets are available in a wide variety of sizes. They are a fantastic way to advertise your message on the fridge or on a vehicle. Display your logo, contact information, promotional offer…anything you would like to relay to your audience. 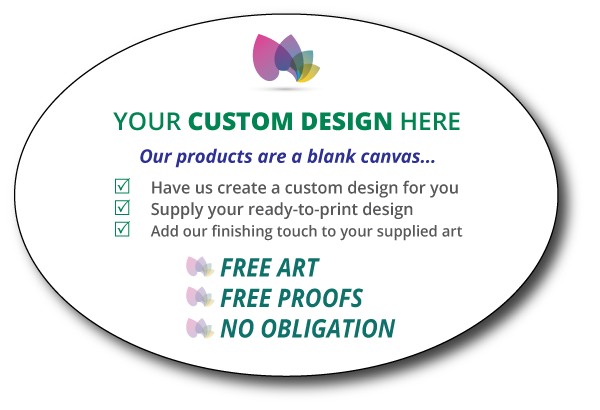 We can print your artwork or design something fresh and creative just for your project. 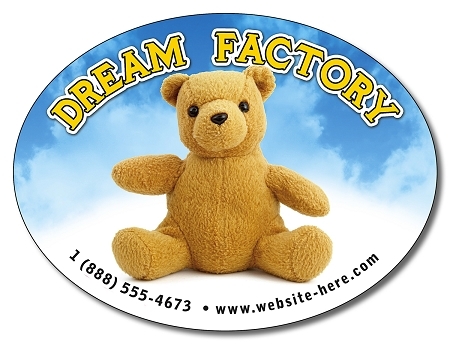 Our oval-shaped magnets are printed in striking full-color and are available in a variety of thicknesses. There is a magnet suited for every budget and project. Oval Shape Magnet - 6.5"x 4.25"
Oval Shape Magnet -3.75" x 8"